Posted On August 1, 2017 by &filed under Environment Law News, Top Law News. 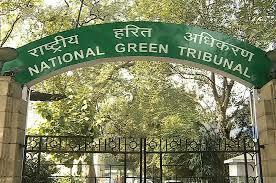 The National Green Tribunal today refused to modify its order imposing a cost of Rs two lakh on the Delhi government for “inordinate delay” in demarcation of forest land in the southern ridge area. A bench headed by Justice Jawad Rahim directed the AAP government to immediately comply with its July 20 order and deposit the amount with the Legal Aid Committee of the NGT Bar Association. The tribunal, which did not pass any order on the review plea filed by the city government, said it would take up the matter on August 4. On July 20, the green panel had said the city government was frustrating the orders of the green panel on one pretext or the other and showing “disdainful conduct” in the matter. It had also sought action plan and warned that in case of default the NGT would be compelled to pass order with the direction that on each day of non-compliance further cost of Rs one lakh will be saddled on the NCT of Delhi. “The proceedings in these cases reflect the manner in which administration of NCT of Delhi is being governed. “Orders passed by us on previous dates speak out aloud of the modus operandi of all concerned to frustrate directions of this tribunal… It is regrettable to note that except for taking prevaricate stands on each occasion on different dates the respondents are displaying clear disdainful conduct in frustrating the order of this tribunal,” it had said. The NGT had earlier directed the Delhi government to adhere to the time schedule and expeditiously carry out demarcation of the area falling within their limits. The tribunal was hearing a bunch of pleas field by South Delhi resident Sonya Ghosh and others against encroachments on forest land in the southern ridge area and seeking their removal. 121 queries in 0.667 seconds.